For me, Ten Ten Kitchen is a place of strong childhood memories and even more from my Curtin Uni days. It’s a constantly busy restaurant smack in the middle of Albany Highway that serves a combination of Chinese and Malay cooking. To the naked eye, it’s not much to look at. The outside needs a good coat of paint, and the blinds that block outsiders looking inside is deterring. But the inside has been renovated in the last couple years and there’s a decent amount of room inside – though it is still sometimes quite hard to get a table. Especially on the weekends. It’s because that while the design might not be much, and the staff not particularly friendly, the food is delicious, comforting and cheap. 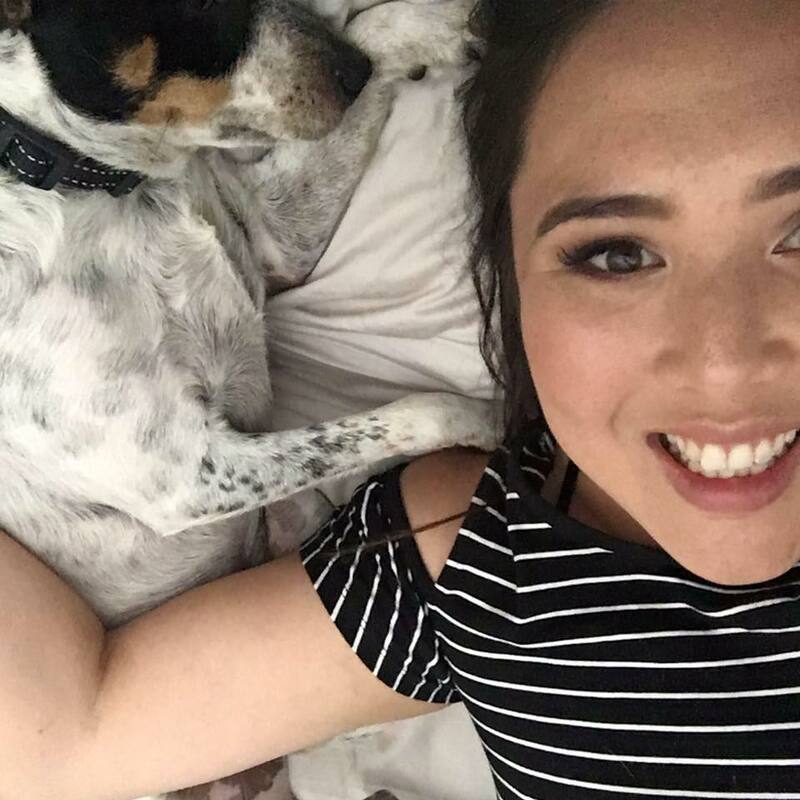 Yes that last bit is especially important – and was one of the reasons we ate here most days when we needed to escape the Abacus study labs and fill our noodle cravings. On this occasion, it’s not with my mother or Jeremy that I’ve come down here with (we’re usually here at least once a month), it’s my girlfriends. We’d planned on dinner at the Prophet but sadly without a booking we weren’t able to squeeze in. So backup plan was to go to Ten Ten. With my friends Vee, Jerrie, Elise and Nicole we sat down at one of the suitably sized round tables with our laminated menus, persuing the large dinner selection hungrily. I normally frequent here for weekend lunch where the noodles are large plates for under $10. But never mind, because the Chinese dishes on offer for dinner sound great. We decide on sharing (like all good meals should do), and pick different dishes to devour between us, with the addition of steamed rice. 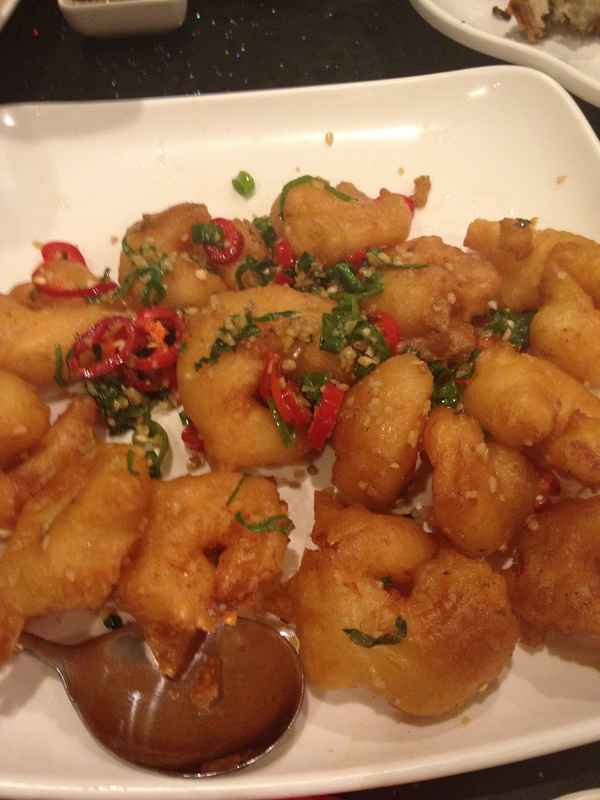 Though it’s a little naughty, my selection for our meal is the Salted Chilli King Prawns ($18). They’re golden brown, coated in a batter that is actually quite light compared to so many other places I’ve had this dish. There’s a nice liberal coating of chilli seeds (though never enough for me!) and the prawns retain their crunch long after the dish goes cold and we’re just picking away. Elise has suggested we get the Sambal Kang Kong ($14.50) which is the dish of the night for me. It’s salty and that little bit slimey from a generous bout of sauce. There’s a tiny kick of spice which could have been enhanced further, but the taste is just so right. I could have just devoted my whole night to this dish on it’s own. To my delight, Jerrie’s gone for the Tofu with Mushrooms and Champignons ($15.50). It’s a terrible photo but it tastes great. 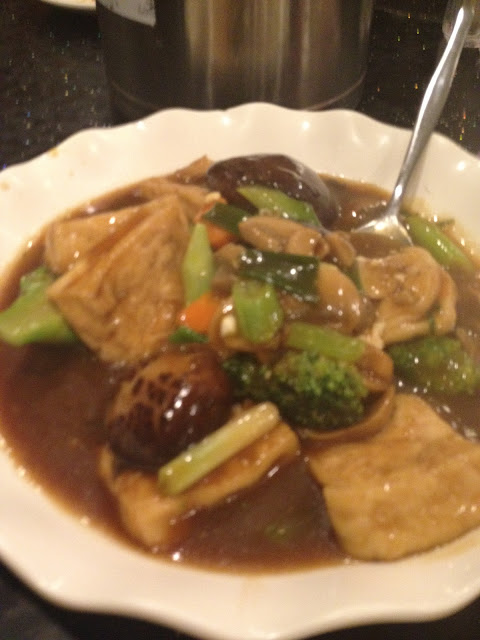 The vegetables are sitting in a light gravy broth that soaks into the hard tofu making it soft and moorish. There’s some brocolli and mushrooms present, all enhancing the dish with their various textures and flavours. The sauce tastes great spooned over my steamed rice and I find myself going back for more and more. Because most of us chose veggie dishes, we add on the Spicy Shanghai Chicken ($15.50). It’s not something I would normally choose (I always pick duck over any other poultry… unless in Asia then it’s goose all the way), but it tastes really nice. The chicken isn’t dry like I worried it would be, and the skin is crisp when you bite into it. 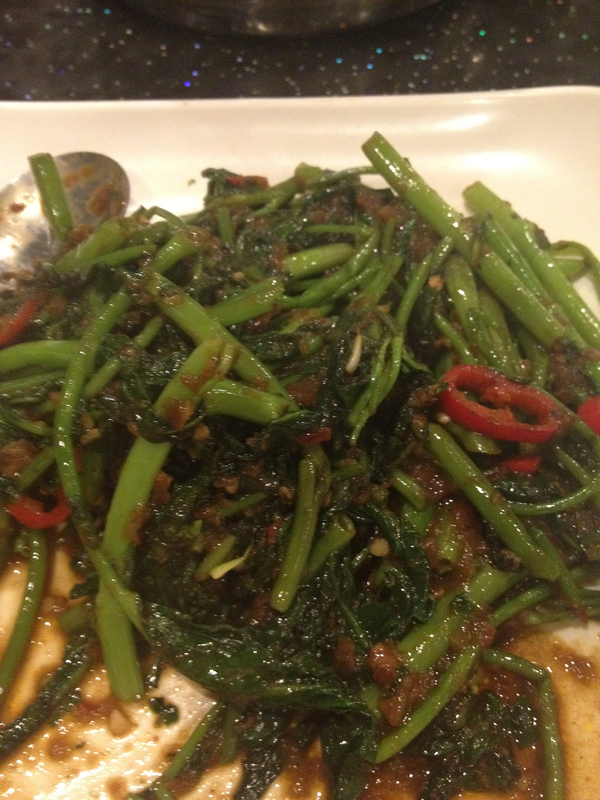 The chilli infused soy sauce is a nice condiment to go with it, though a bit salty. Our final dish, which Vee chooses is the one she and I used to come here specifically for. 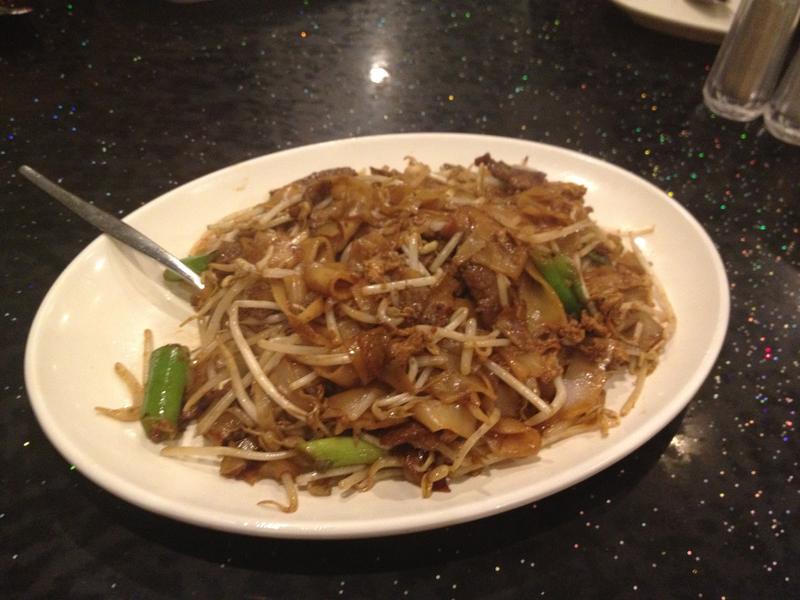 Fried Beef Kway Teow ($12.50). They have perfected this dish in my eyes. There’s that wonderful smokiness that a good kway teow should have, and the noodles have managed to be fried in the wok without sticking together or snapping. There’s whole spring onion stalks, crunchy bean shoots and tender beef which all takes this to the next level. This is my go to menu item here. We finish off our night with some fried icecream ($5). The batter is nice and coconut-y but it’s a bit dry to the palate. However it’s a very generous size and I’m still extremely satisfied when I drop my spoon and declare I’m full two thirds the way through. All in all Ten Ten never fails to deliver great tasting food. There’s definitely room for improvement in other areas of this place, but the meals themselves are outstanding. 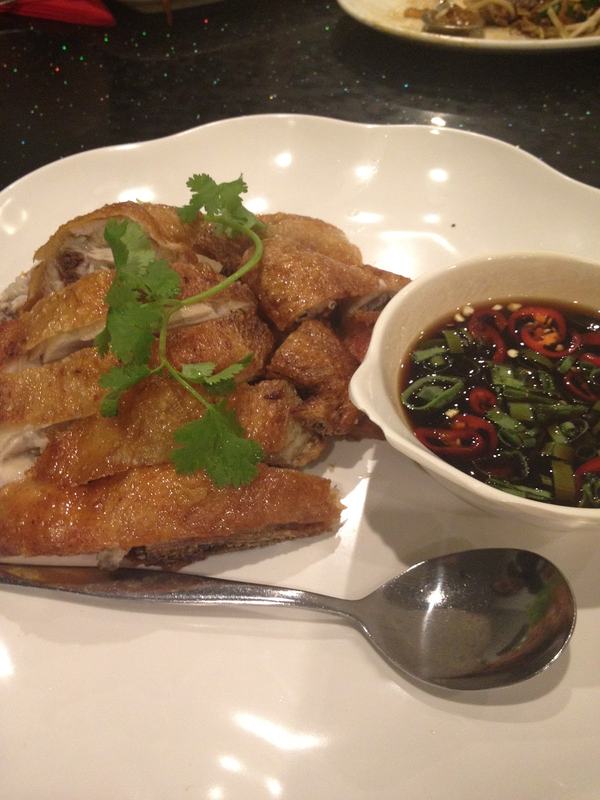 I can vouch for the Hainan chicken here too – one of the better venues in Perth that offer this Singaporean favourite up. Very nice kitchen especially when preparing these kind of food.